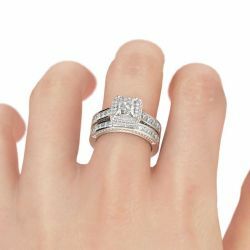 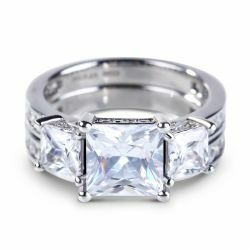 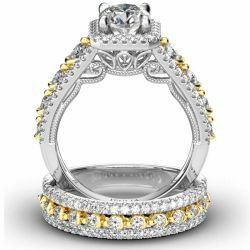 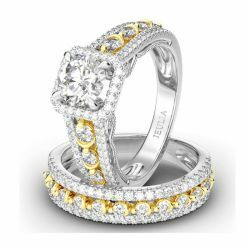 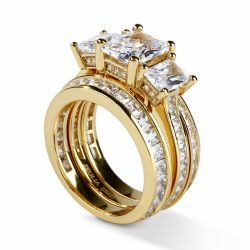 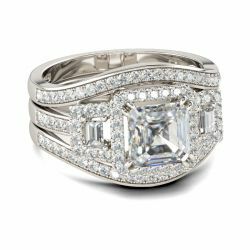 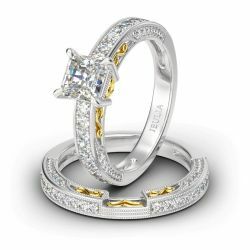 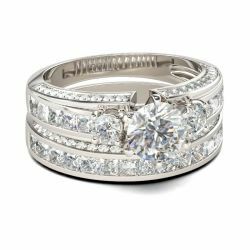 Wedding set or bridal set, traditional 3 piece rings, consists of an engagement ring, a wedding band for her and a wedding band for him. 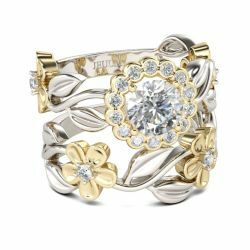 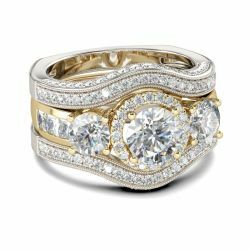 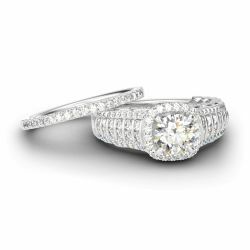 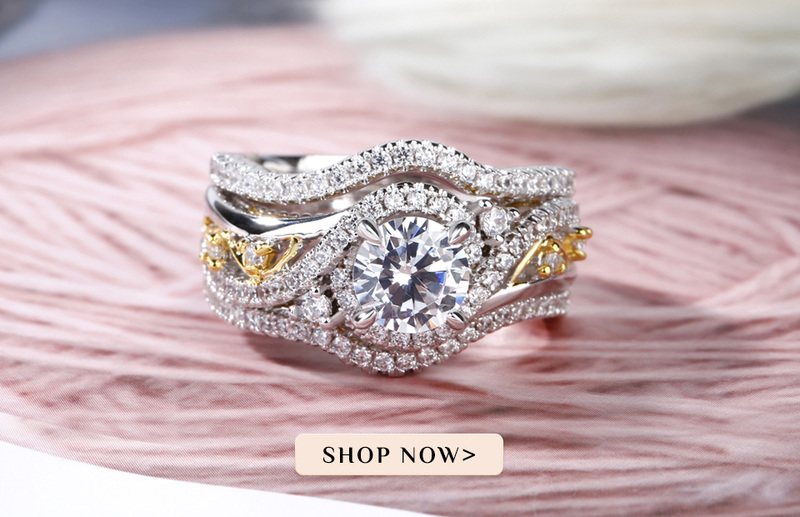 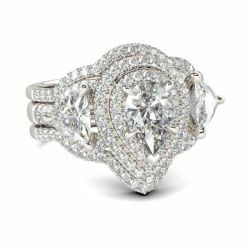 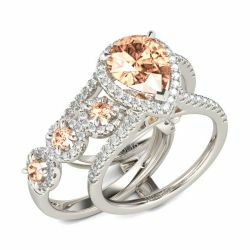 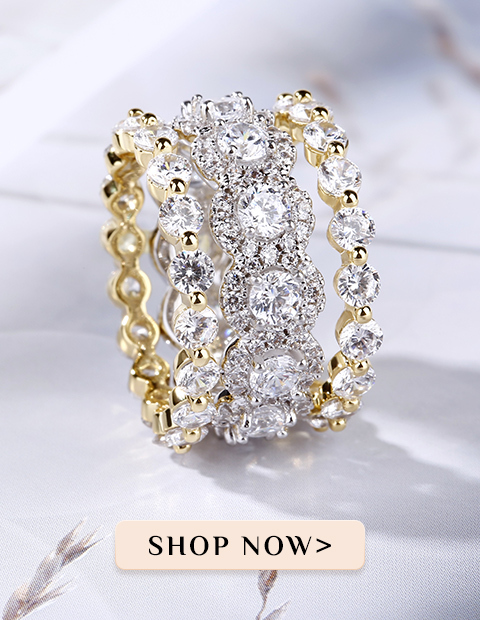 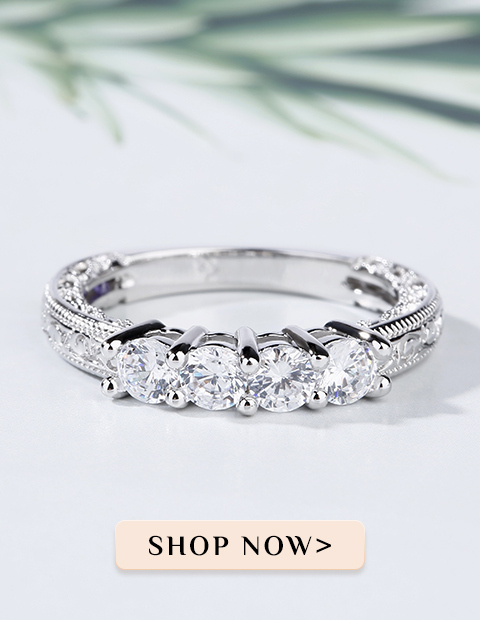 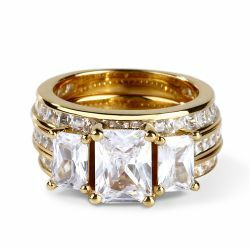 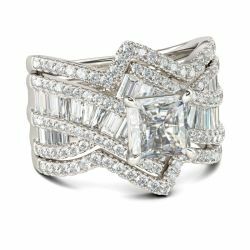 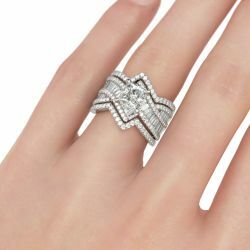 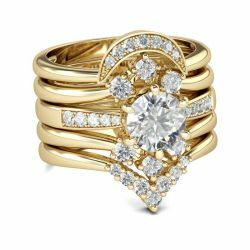 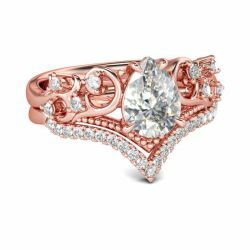 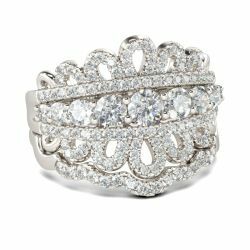 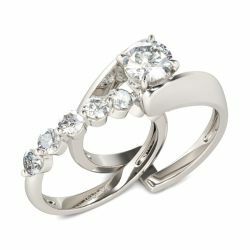 Although either piece would look appropriate as a separate ring, it could be more dazzling if worn together. 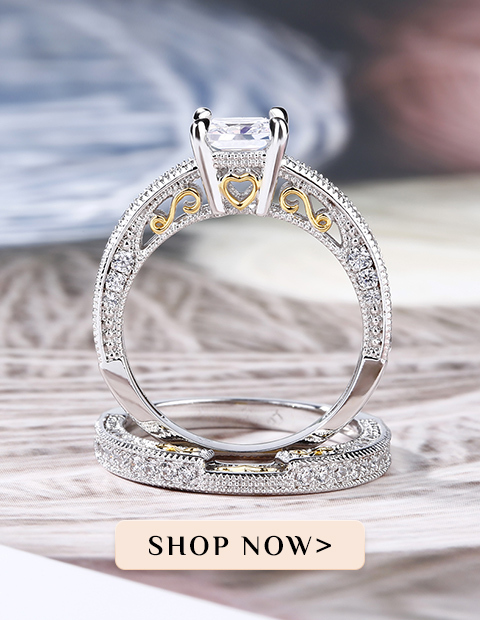 The three rings are usually sold together as Wedding Sets for the lower price. 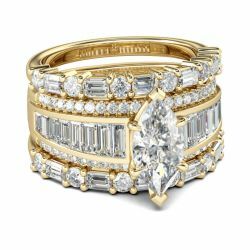 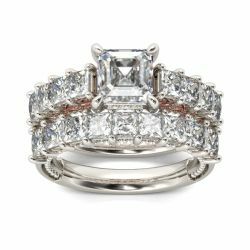 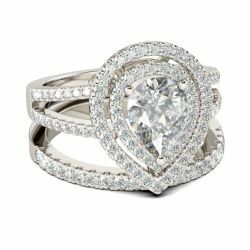 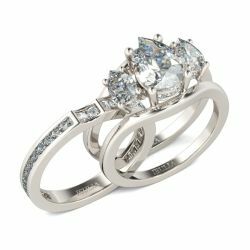 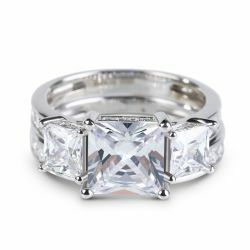 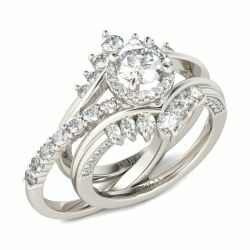 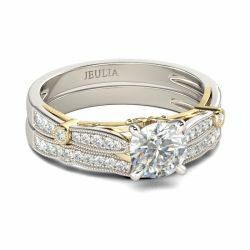 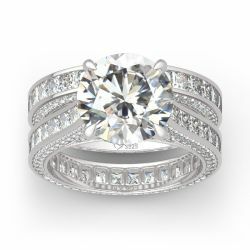 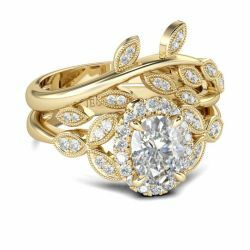 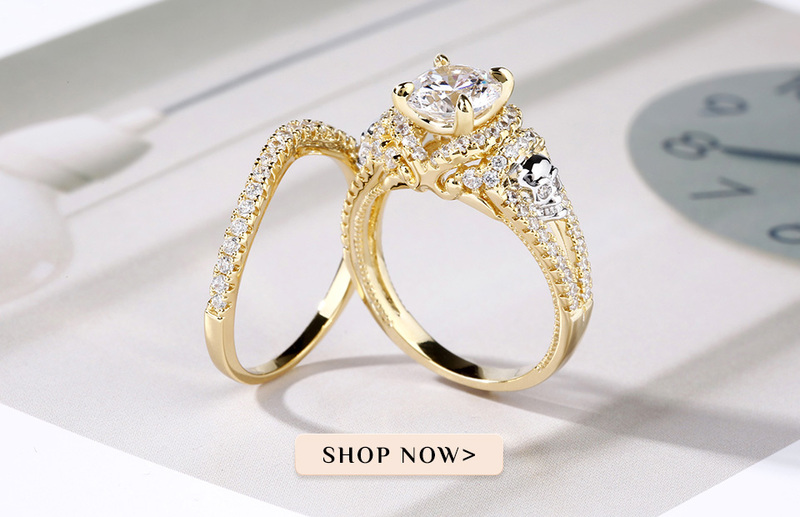 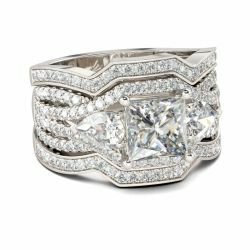 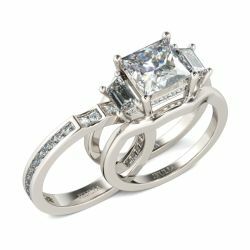 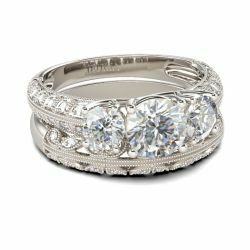 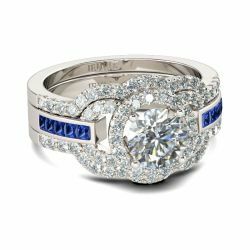 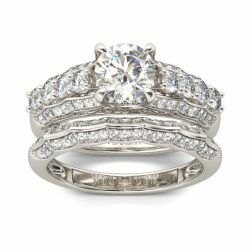 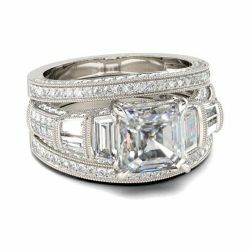 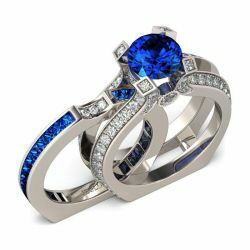 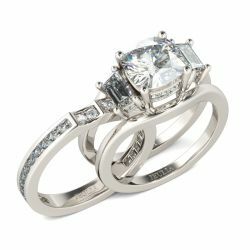 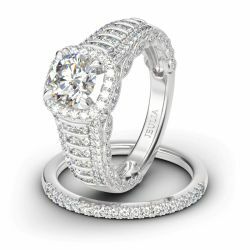 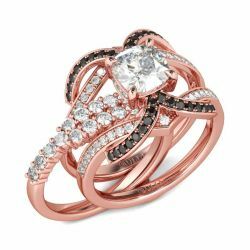 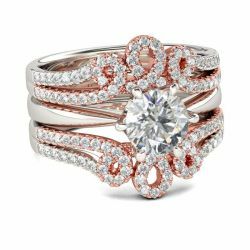 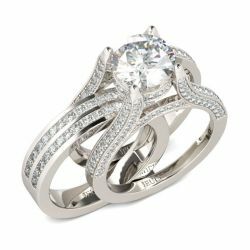 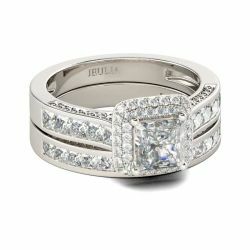 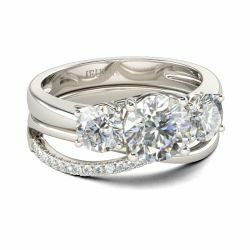 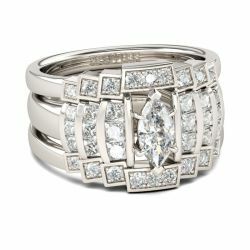 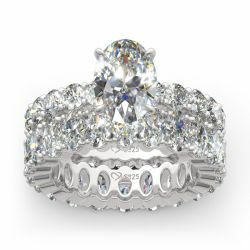 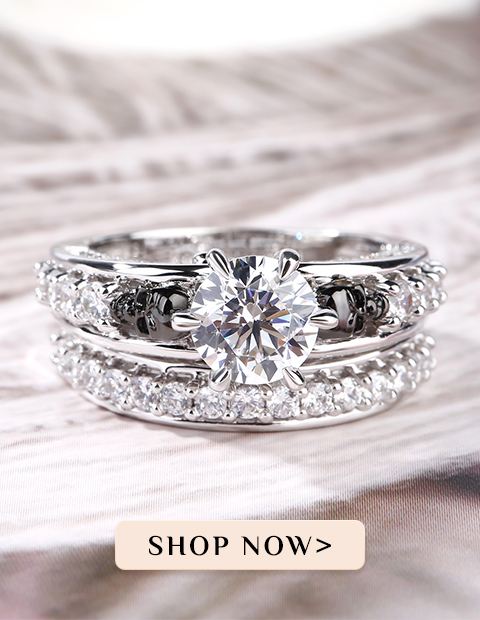 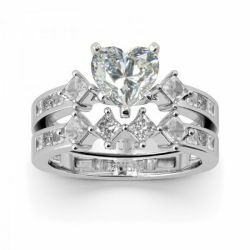 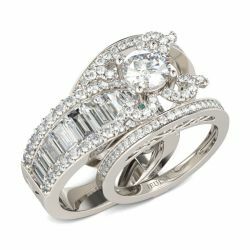 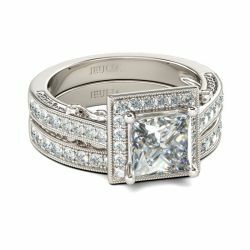 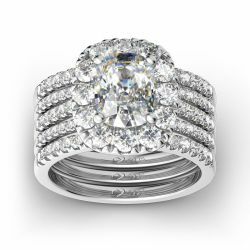 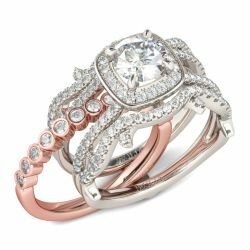 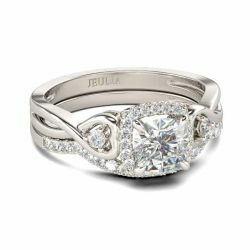 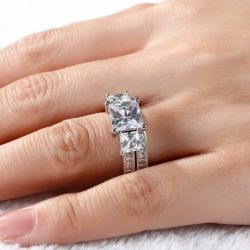 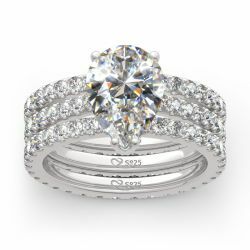 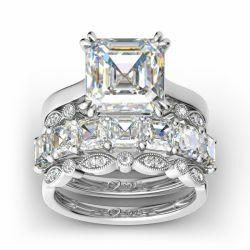 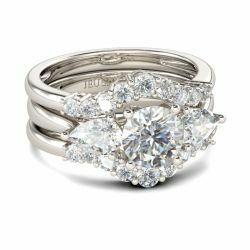 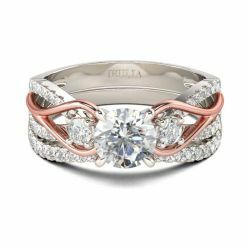 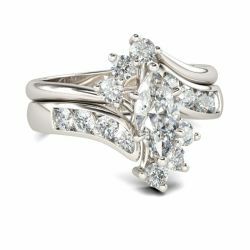 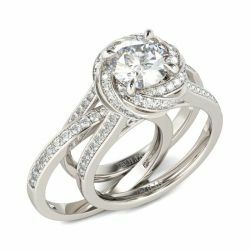 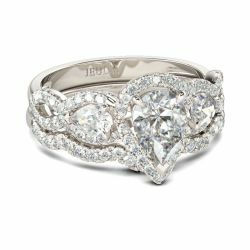 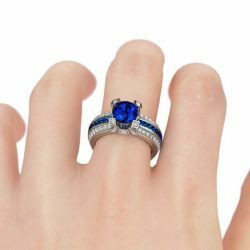 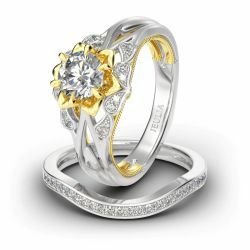 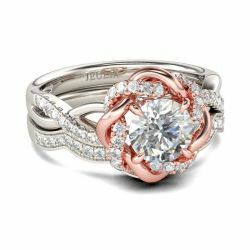 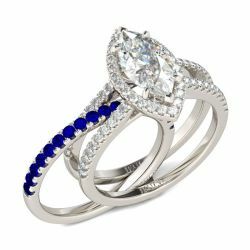 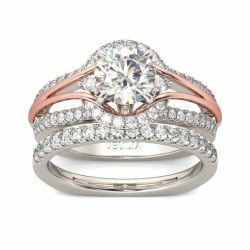 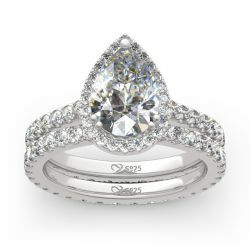 As time goes on, Bridal Sets derive a variety of new design, such as 2 pc sets, Interchangeable Rings and Enhancer Rings. They are only tailor-made for bride, including a wedding band and an engagement ring. 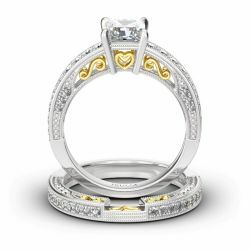 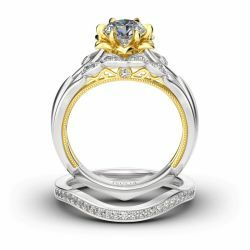 Whether 3 pc wedding sets or others, they have the uniform characteristic: make your engagement and wedding tied to a common theme. 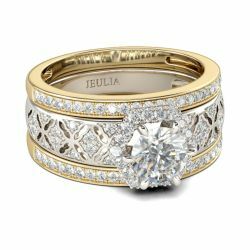 Jeulia Bridal Sets highlight overlapping design and one piece serves to enhance the other. 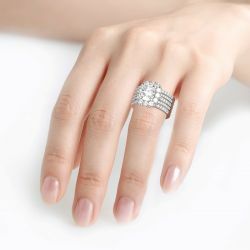 We insist that details prevail over everything. 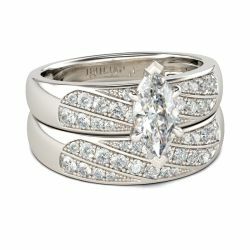 And there is a romantic love theme behind every bridal set. 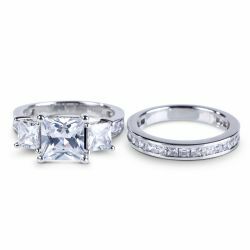 Which one is similar to yours?